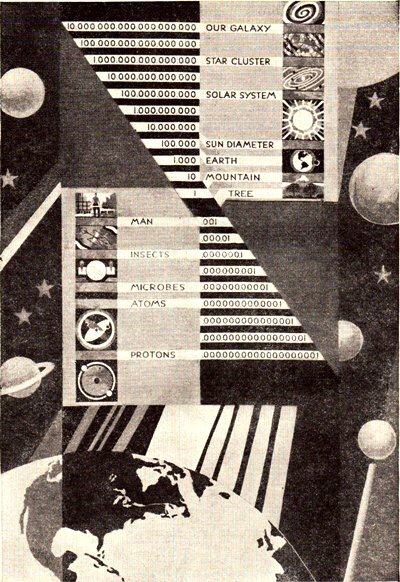 A photograph and two diagrams from Clarence R. Smith’s Earth and Sky: Marvels of Astronomy, 1940, part of the University of Knowledge series, edited by Glenn Frank. What lies beyond? 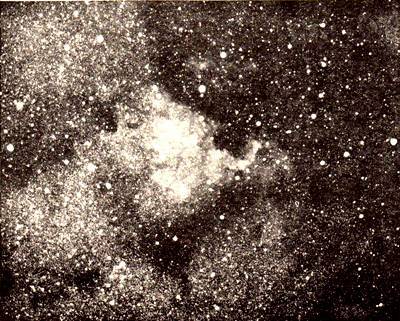 Courtesy Lick Observatory (p170). “With the earth beneath his feet and the sky above his head, man lives his brief moment in a world he can see and touch and come to know, but sublime mystery shrouds his coming and his going. His twofold passion is to penetrate the mystery and to perfect the mastery of life” (pVII, Frank’s introduction). A mural showing comparative dimension of natural objects in miles. Courtesy Museum of Science and Industry, Chicago (pV). “Man might seem to be reduced to utter insignificance in this limitless cosmic scheme. Thus far science has found no evidence that life as we know it exists anywhere but on this planet. Man is the highest form of that life. He alone has the gift of comprehension. He alone must seek the answers to the eternal questions of Whence, Whither, and Why. We cannot study the earth and the countless stars and suns scattered through space without a vital quickening of the imagination. Life itself takes on a new meaning” (pIX, Frank’s introduction). 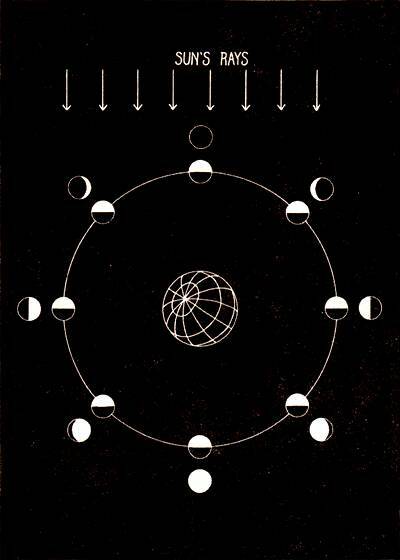 Diagrammatic explanation of the phases of the moon (p246). I like that the designer of the mural had the wisdom not to put Man in the very center. It was always interesting to me though that the human realm, “Middle World”, really is so close to the middle of the overall picture. You wonder if this is just the sweet spot for life as we’d recognize it, or if there are equivalent upper and lower limits to what we can perceive of a boundless reality. The mural also reminded me of Powers of Ten (http://www.powersof10.com/) and the Nikon Universcale (http://www.nikon.co.jp/main/eng/feelnikon/discovery/universcale/index.htm), both of which I’m sure you’ve already seen.